Whether for the possibility of skin cancer or for cosmetic reasons, many patients are concerned about facial lesions, cysts or moles. Lesion removal is a surgical procedure to safely remove an unwanted or concerning skin lesion. Some lesions are present at birth, while others begin to appear over time. Generally, skin lesions that increase in size, change color, have irregular edges, or are associated with bleeding should be considered for removal to reduce potential health risks. Using the most advanced surgical and non-surgical techniques, Dr. Bassichis can optimize cosmetic outcomes for his lesion removal patients. 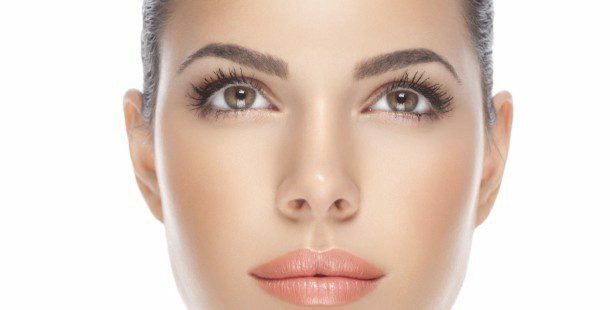 A double board certified Facial Plastic and Reconstructive Surgeon, Dr. Bassichis has extensive experience with excisions especially on the face where a cosmetically appealing result is vital. After evaluating your lesion, Dr. Bassichis will design the optimal excision pattern for healthy removal and healing using meticulous multilayered surgical closure techniques. More simple or complex surgical closures will be performed as needed to optimize results for each individual patient. 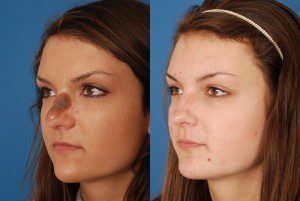 Skin lesion removal can be performed as an in-office procedure with local anesthesia or may accompany other facial plastic surgery such as rhinoplasty or facelift. All lesions surgically removed by Dr. Bassichis are sent to an expert Dermatopathologist for examination to confirm that your lesion was safely and correctly treated. After your lesion removal procedure, it is vital to follow all instructions after surgery to ensure proper wound healing. After your removal is healed, we can optimize the appearance of your surgery using non-surgical techniques including cortisone injections, dermabrasion, fractionated CO2 laser resurfacing, vascular laser treatments and/or dermal filler injections. As an exclusive specialist in facial procedures, Dr. Bassichis would be pleased to care for your facial health needs regarding lesion removal.